To Fast Eddie Felsen, a young pool hustler, there was only one thing that mattered: to make the big time and the big money in the world of pool by beating the best in the country. 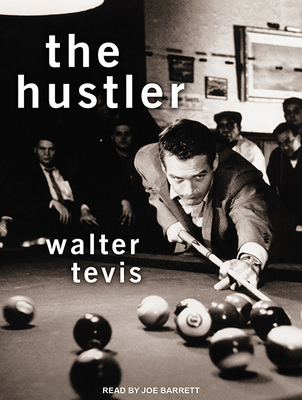 Hustling suckers in small towns for good stake money was practice for his goal, and when he felt ready he went to Bennington's pool hall in Chicago to find Minnesota Fats. Eddie and Fats pit nerve against skill in a fantastic match over an unbroken thirty-six hours. Eddie's final painful loss teaches him that nerve alone isn't enough-guts, stamina, and character make the difference between winners and losers. It takes an interlude with Sarah, an alcoholic and a born loser, to bring the lesson home, and the shrewd advice and backing of Bert, a professional gambler, to put it into practice. Bert knows talent without character is nothing and stakes Eddie to a climactic all-or-nothing rematch. When it is over, Eddie knows a great deal more about big-time pool, about money, and about himself. In beating Fats he became the best in the country.